BRISBANE, Queensland—As the dust settles from Brisbane’s G20 leaders’ summit, Queensland police have been credited for ensuring a smooth event, but organisers of the alternative “People’s Summit” say the activists who peacefully expressed their views deserve some credit too. 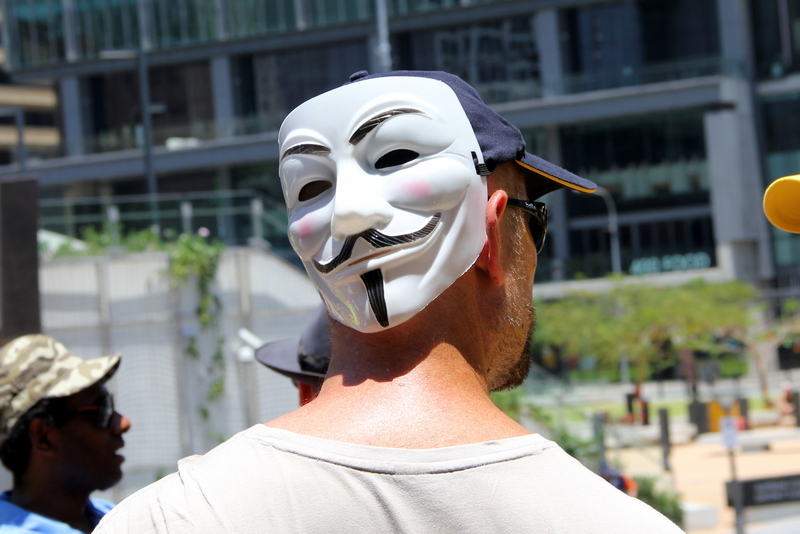 “The media are attempting to congratulate the police for their tolerance and peacefulness when in fact you must congratulate both parties,” said Robin Taubenfeld, spokesperson for the Brisbane Community Action Network (BrisCAN-G20), the umbrella group who organised the “People’s Summit, Rally and March”. Taubenfeld congratulated those who attended the week-long event, saying they had upheld important democratic freedoms despite difficult conditions. These included temperatures well over 40 degrees and what she described as excessive police presence. According to Queensland Police, 11 people—8 men and 3 women—were arrested during the event, but these were for minor offences. “There was no violence, as we expected,” Taubenfeld said. Around 20 groups attended events over the G20 weekend, including representatives of indigenous, labour and climate action groups who spoke at the Roma Street Forum on Saturday Nov. 15. 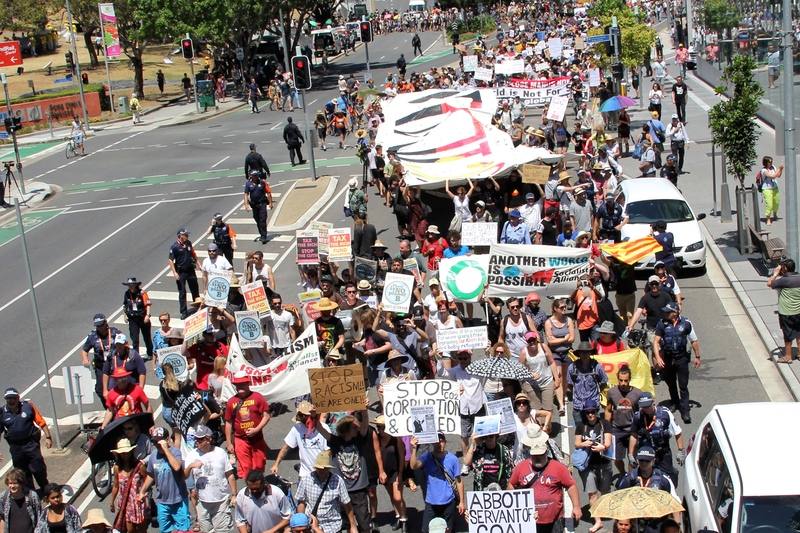 A number of rallies were also held, with the largest on Saturday, when about 2,500 people marched from Roma St across the river into Musgrave Park. 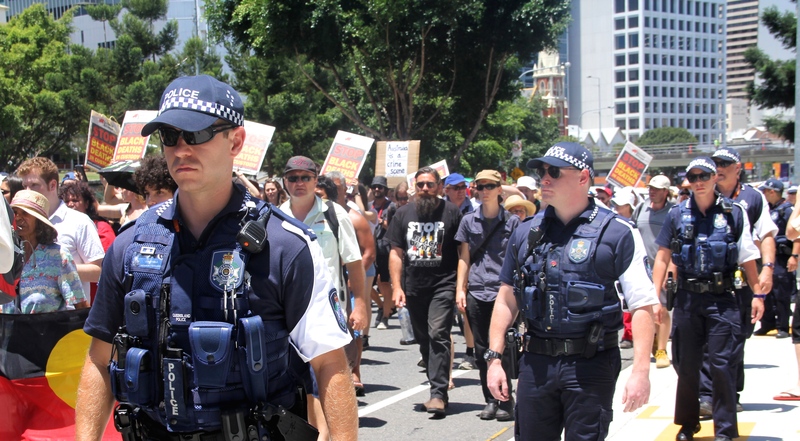 Members of the indigenous community dominated the rally in Roma Street, with the younger members recounting the deaths of family members in custody. Elders were quieter, but no less moving, as they detailed horrific experiences of racism, incarceration and brutality. They called on their ancestors to help educate the larger Australian community about aboriginal culture. “I used to be a political activist, but now I am a spiritual activist,” said Budga Davidson, whose stories of persecution gave way to heart-felt poetry. 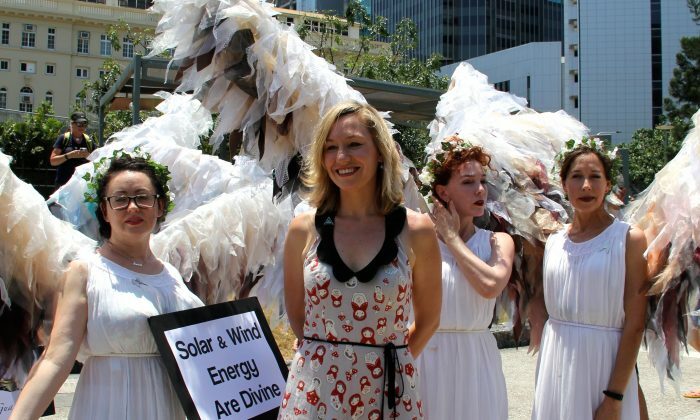 Queensland Greens Senator Larissa Waters said she was honoured to stand with those at the rally. “It is a real counterpoint to the pro-limitless growth and top heavy wealth distribution that the folk on other side of river, at the G20 proper, are talking about,” she told Epoch Times. 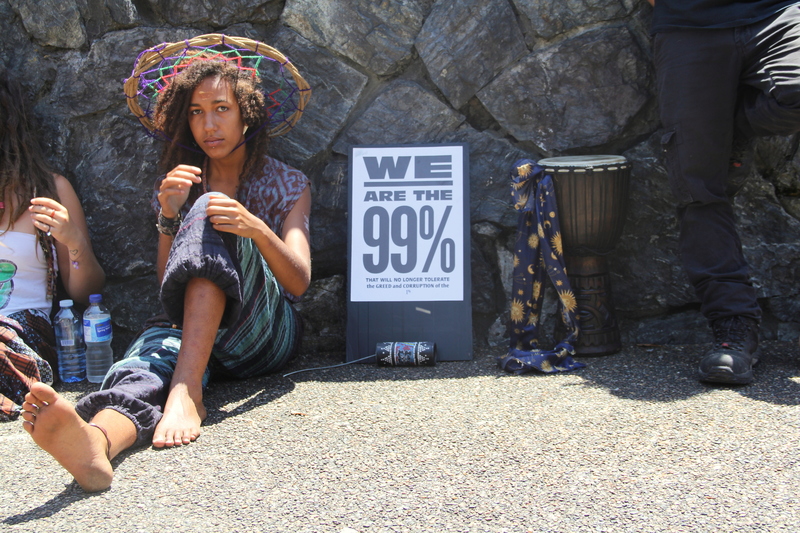 She joined calls for a fairer, more equitable global economy “where wealth doesn’t centralise at the top, but actually does genuinely trickle down and empower people”, she said. Waters called for more action on climate change and the environment, as did the Climate Guardians, a small group of women dressed as angels. “If Tony Abbott won’t listen to the science, perhaps he will listen to the angels,” said Liz Connor, an academic from Monash University, speaking of Prime Minister Tony Abbott’s dismissive approach to climate change. Spread out around the city were those who, unable to demonstrate in their own countries, raised concerns about human rights. They included Tibetans and the Rohingya from Burma. Members of the Falun Gong spiritual group also participated, turning out in large numbers telling of the scale of their persecution in China. Around 150 practitioners took part in the march while others displayed banners at various points around the G20 declared zone. 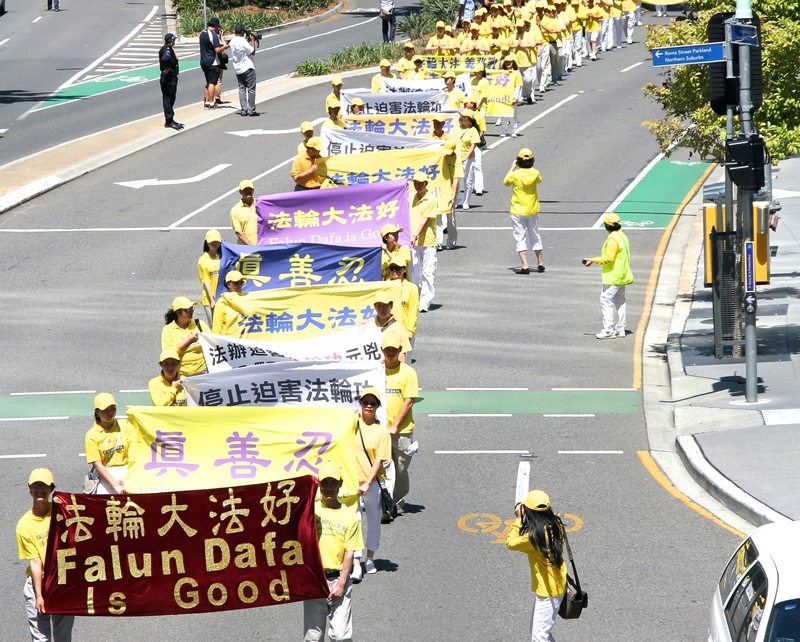 John Andress, spokesperson for Falun Gong in Queensland, said practitioners had two messages for Xi Jinping, the Chinese leader: “We welcome all the world leaders and delegates, including Xi Jinping. “Even though Xi did not start the persecution of Falun Gong in China, he must now end it, as well as the forced harvesting of organs from Falun Gong practitioners. “This has been going for 15 years and it is intolerable,” he said. Andress said practitioners of the peaceful exercise and meditation practice have no rights in China, as they are not only arrested and tortured for their beliefs, but held stateless in labour camps and other detention facilities, where many are used to service a lucrative organ trade. “It is estimated that 65,000 Falun Gong practitioners have died from organ harvesting,” he said. “That is basically killing for money—a crime against humanity. No government can afford to have such a stain on their record, so we are asking for Xi to end this,” he said. Queensland Deputy Commissioner of Police Ross Barnett commended those rallying and noted that it was the result of weeks of negotiations with multiple groups. “This outcome is no accident and reflects the good will and trust between both sides,” he told the ABC. Around 7,000 police were recruited for the event, including police groups from other states and as far away as New Zealand. The police presence was pervasive – in the sky, in the streets, on the river and even in the water – and when the march began police spread out in rows on either side most of the way, spaced with little more than a few feet between them. Taubenfeld said excessive police and military presence in the build-up and during the event had been intimidating and, she believed, a deterrent for participation in the People’s Summit. “We will still assert the police do not need to be congratulated for allowing the the citizenry to exercise their right to protest,” she said. 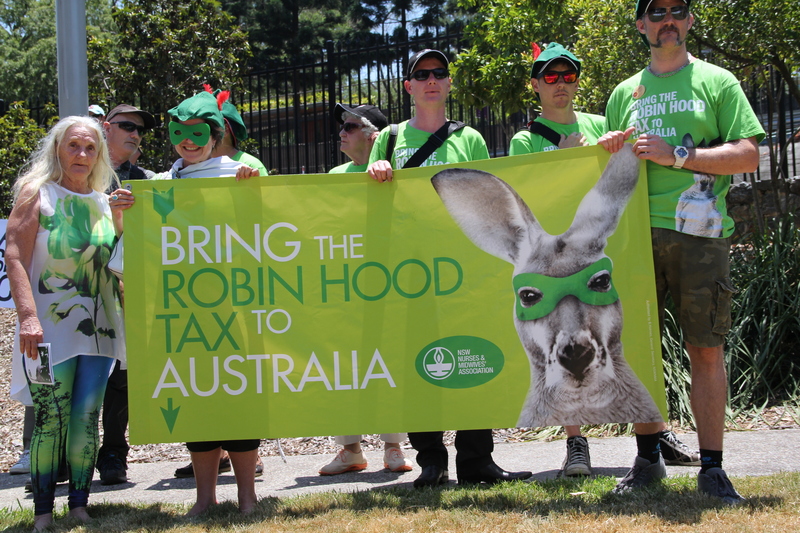 The G20 leaders summit in Brisbane may not achieve all that is hoped for but one area where progress may be likely is tax reform.